Your LaGrange dentist teaches you how to pinpoint the earliest signs of oral cancer. The most common symptom of oral cancer is a sore or ulcer in the mouth that won’t go away. The sore may also be accompanied by persistent pain. If the cancer is left untreated and spreads, you may also notice different symptoms developing. However, remember that the majority of these symptoms can also be indicative of other problems and just noticing one of these symptoms does not mean you have cancer. You need to have your LaGrange dentist perform the proper tests in order to offer a reliable diagnosis. How does my LaGrange dentist test for oral cancer? We will most likely perform a biopsy to diagnose your problem. A biopsy requires removing a small piece of tissues from your mouth to examine under a microscope to check for abnormal cells. Biopsies can take up to two weeks to get results back. If your biopsy does confirm that you have oral cancer we will need to perform further tests to see how far the condition has progressed. Ultimately we will want to know if the cancer cells have already spread to the lymph glands. A CT scan and an MRI will most likely be performed in order to find out what stage your cancer is. How is oral cancer in LaGrange treated? There are several treatment options available to our patients and a lot will depend on the stage of the patient’s cancer. Your LaGrange dentist will sit down with you and discuss your treatment options and which ones offer the best chance for a cure. 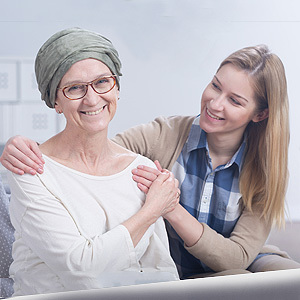 Most common forms of treatment include radiation, chemotherapy and surgery. We may also recommend certain medications to help ease pain and other symptoms. If you experience any of these symptoms, then it’s time to see your LaGrange dentist right away. The earlier we can detect oral cancer the easier it is to cure your condition. Put your oral health first! Call us today if you have any concerns or questions.